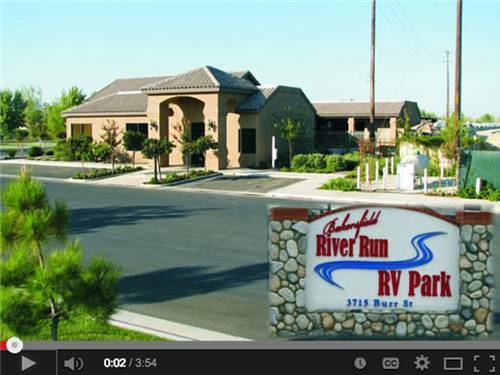 Newer park centrally located, walk to many of Bakersfield's finest restaurants, attractions and hotels. Enjoy our sites with lots of grass and large patios. The wide roads and big sites makes it easy for the largest RVs. Staff was very polite, helpful, courteous, cared about guests. Park was clean, easy to navigate, well maintained and quiet. The river nature trail was enjoyable. We have a 30 amp rig and their breaker kept popping so we asked them to come and check it. A very polite young man came and put an electrical gauge on it and said that it was only putting out 25 amps so we had to choose something to turn off. The water heater lost. Note that their office doesn't open until 9 so forget about them if you're looking for a cup of coffee before you hit the road before 9. Stayed for one night in a 28 ft travel trailer with full hookups. Sites are level, paved, and there is nice spacing between them. Restrooms are modern and clean. The park is easy to find and we had no issues with reservations even when we arrived late. The 4 star for appeal is only because there isn't much to do within walking distance. I would go back if I go through Bakersfield again. This is the Gold Standard place for us to stay. We have only stayed here on the way to and from places. 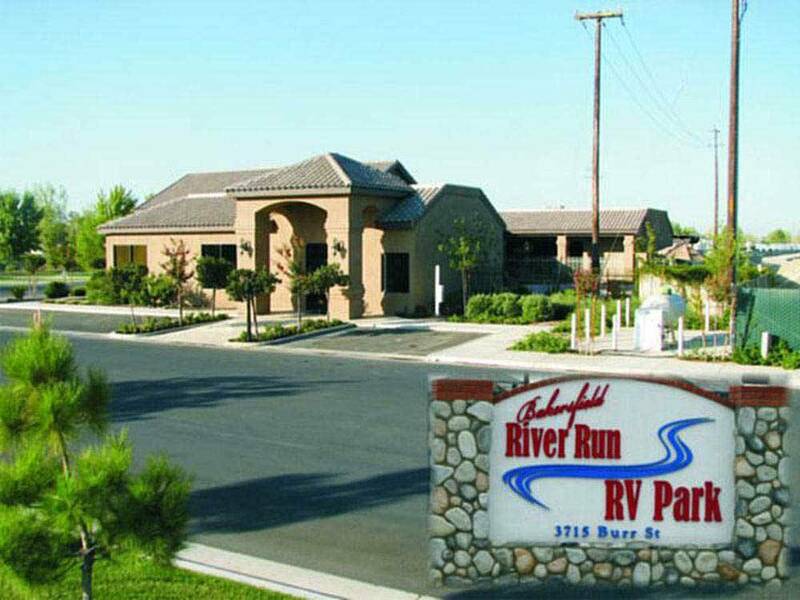 It is always easy to call and confirm a spot if on the road, the spots are clean and tidy, the restrooms are the best, the pool/rec room area are clean, and most important the spa is open to be used and help relax with. This is the best place. Nice park with room between each area. Camping area is gravel with concrete pad on the side and grass between your spot and the neighbours. There is some highway noise from the freeway close by but not a real distraction. Nice walking area along dry creek bed or cross over to the park. Cordial people, clean park. We didn't use the restrooms and stayed just one night. We would stay here again when in the area. Stayed here for two days in September and added a couple of days because we liked it so much. Very clean facility. Staff helpful and friendly. Sites nicely maintained with trees and well kept grass. Located near many restaraunts and a mall. Very nice, quiet park...beautiful grounds, well maintained. Close to restaurants, and shopping...very friendly and welcoming staff. This is our favorite stop before heading south into LA. Living in South Orange County we have to plan our return home when traffic is lightest!! We also use this park Northbound. We leave home in the evening after traffic has let up and we are here in 3 hours. A perfect place to begin and end a great trip! Bathrooms were open bay very clean with 2 toilets, 2 urinals, 3 showers, 3 sinks. Needed some maintenance on the bathroom showers. Back in wide sites with gravel pack pads. Water, elect (pedestal was loose), and sewer connections were very good. Great reception area, laundry room, exercise room (Nordic track walker and elliptical were broken) and game room were in great shape. Pool was in good condition. Staff was courteous, friendly, and knowledgeable. Park was in excellent shape. When making reservations request a site away from the freeway side of the park. It is located in an industrial area and near the freeway.